Find reference books, coin holders, folders and albums by Locktite, Dansco and Harris. 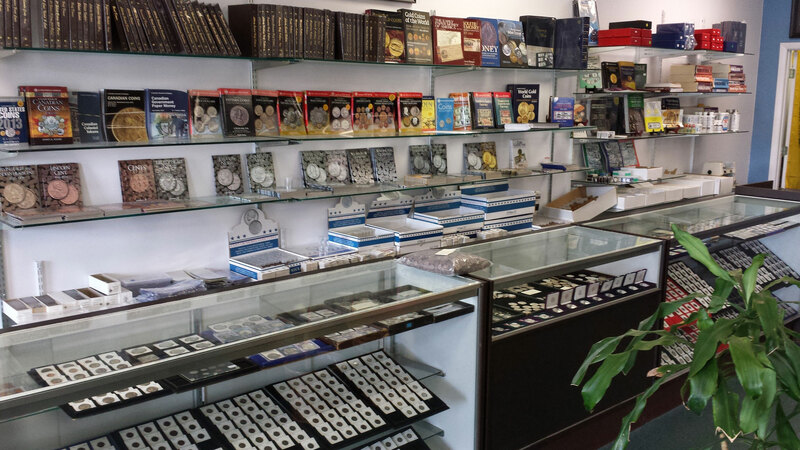 Our wide selection of coin and stamp supplies includes cleaners, coin tubes, coin books, stamp albums, and stock books for coins. Do you take credit card orders over the phone? Ed: It depends on what it is. If they want to spend a hundred thousand on gold coins, no, because that’s just ripe with fraud. But if they want a bag of hinges or mounts or something, then sure. We can sell coin supplies over the phone, but not bullion. 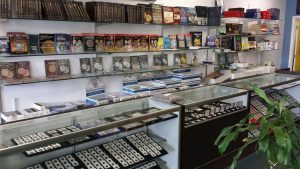 What kind of coin supplies do you have? Jack: I have all kinds of coin and stamp supplies. I have holders, from cheap to deluxe. I have coin albums from cheap to deluxe. I have stamp supplies, stamp albums. Stock books. 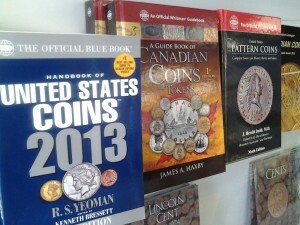 Jack: Stock books, to stock coins in there not specifically oriented to a date or anything. 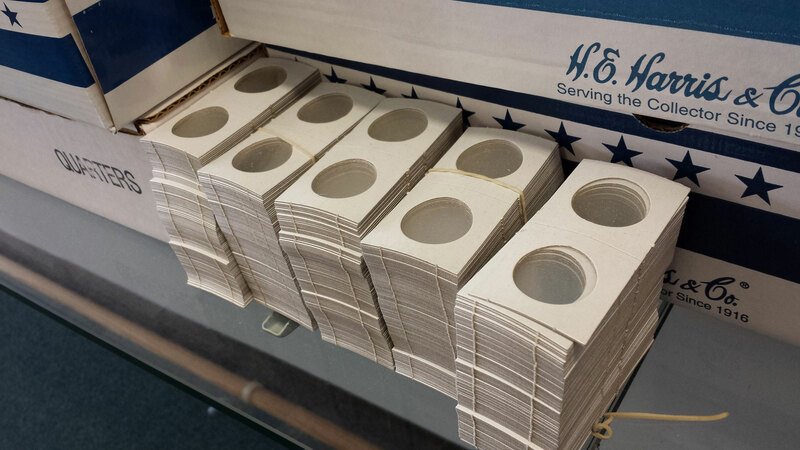 Stock boxes. Books. Resources. Chemistry, cleaners. 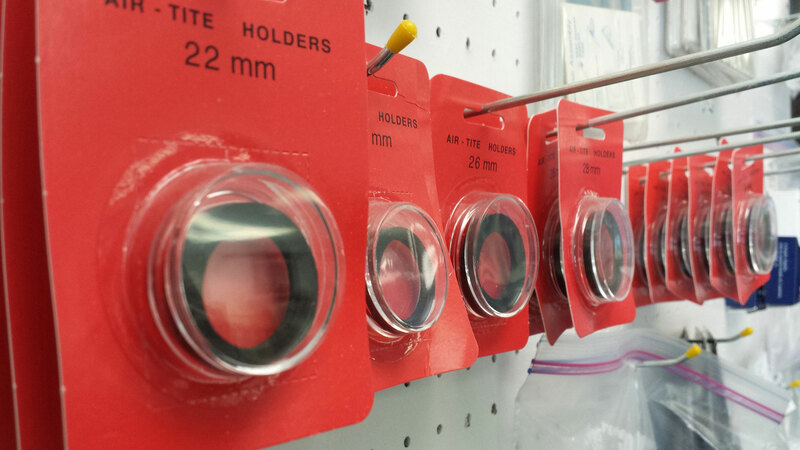 I’ve got tubes. I’ve got magnifying glasses, which are called loupes. I’ve got catalogs, price catalogs.